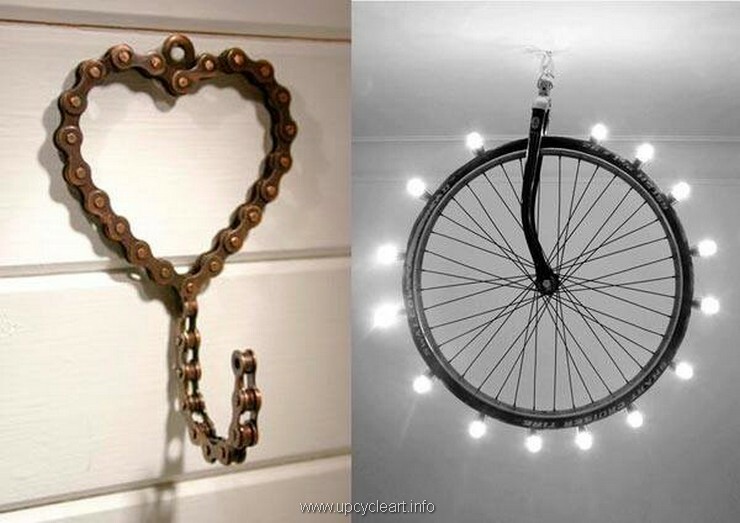 A few days back we did a strange and crazy recycling project with the reclaimed parts of the bicycle, we had made some easy to make crafts and we really had a very great response from the folks. They were willing to see some more of that nature. So we thought about the wheels of these mountain bikes which are made with a solid material and already holds a beautiful shape that is perfectly round. 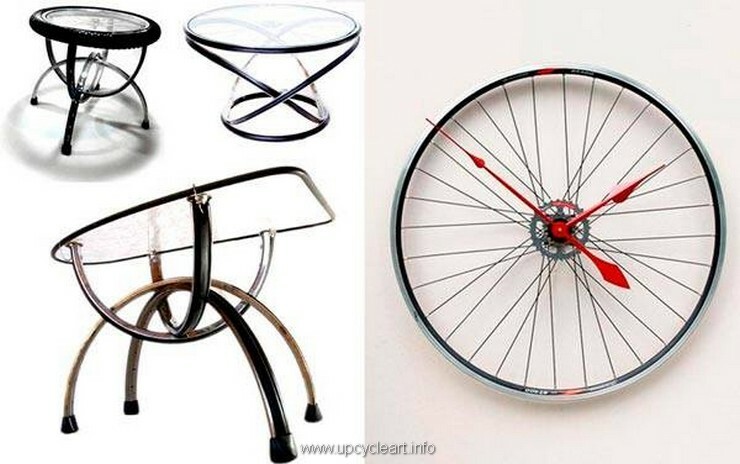 So we thought that we can really do a lot of interesting stuff with these bicycle wheels. Here we are going to present some of the ideas that we did with them. The very first thing was done for the comfort of the ladies who are running the affairs of kitchen and cooking and all that stuff. 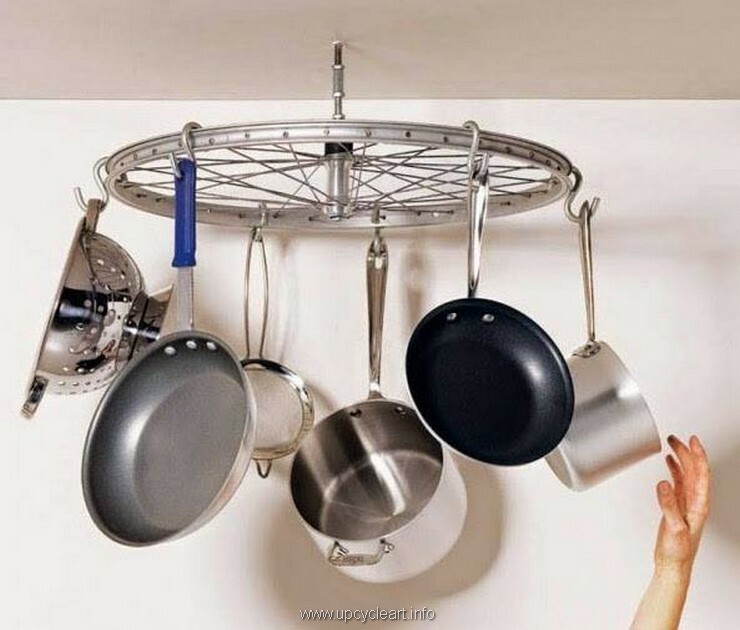 Arranging these utensils has never been so easy as we have made it with this crazy installation. Also we have brought an idea which would affect the life of many like we always want to preserve the old snaps as they are the finest source of capturing the good old memories. 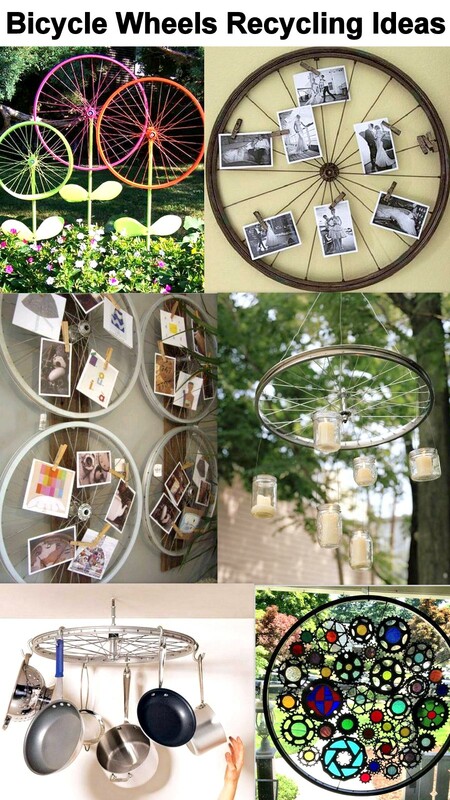 If you are sick of the typical photo frames, present them in a totally different and noticeable manner like this one. 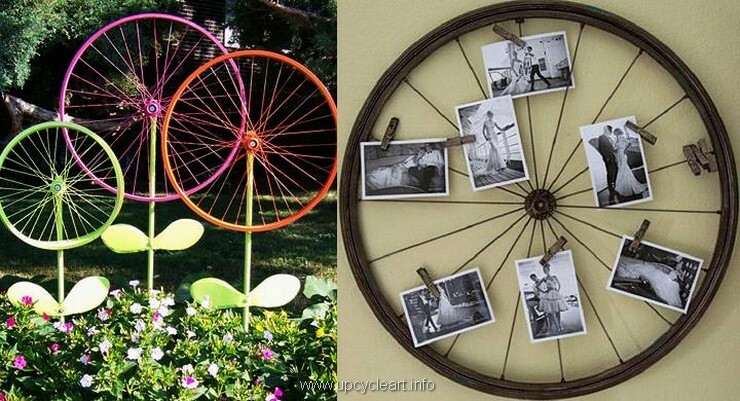 You can do a lot of crazy things with these bicycle wheels this just depends on your thoughts and secondly how creative you are. 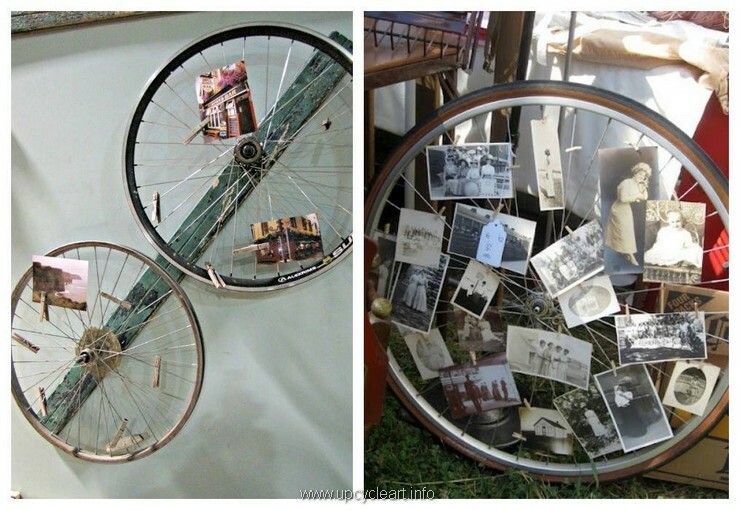 Like you can paint a couple of them and use them as a garden décor idea, use them to display several old photo graphs. My goodness, I am more than sure never in your life you would have come across such a crazy lighting installation or a chandelier that is so weird yet very attractive. Multiple mercury bulbs are attached to the each built in hole in the metallic rim of the bicycle and attached to the roof. And here comes another one of the cheapest garden décor idea as all the stuff we have consumed here came pretty free of cost. 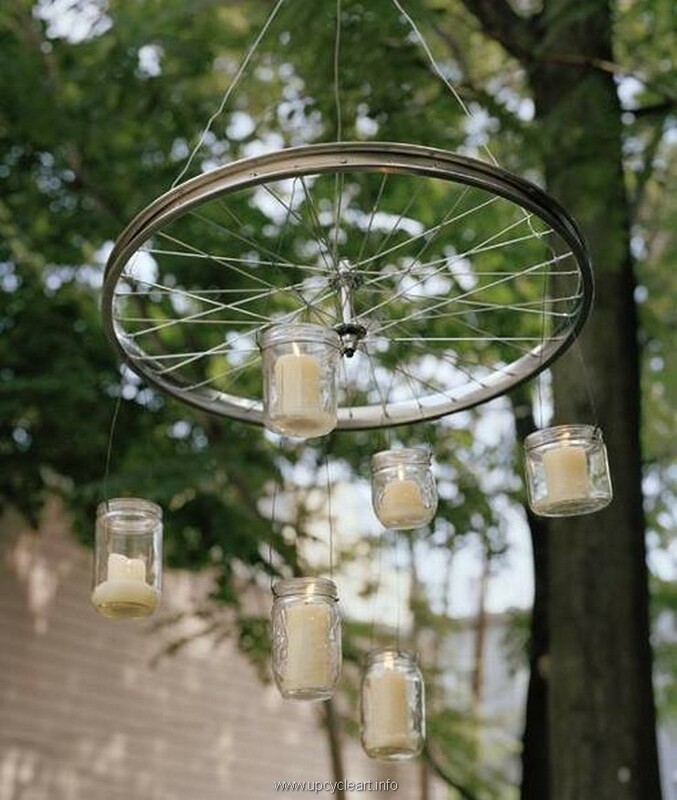 These mason jars are available everywhere, candles were already there in the house, the wires are abundant, only this wheels was something that we really had to look for. 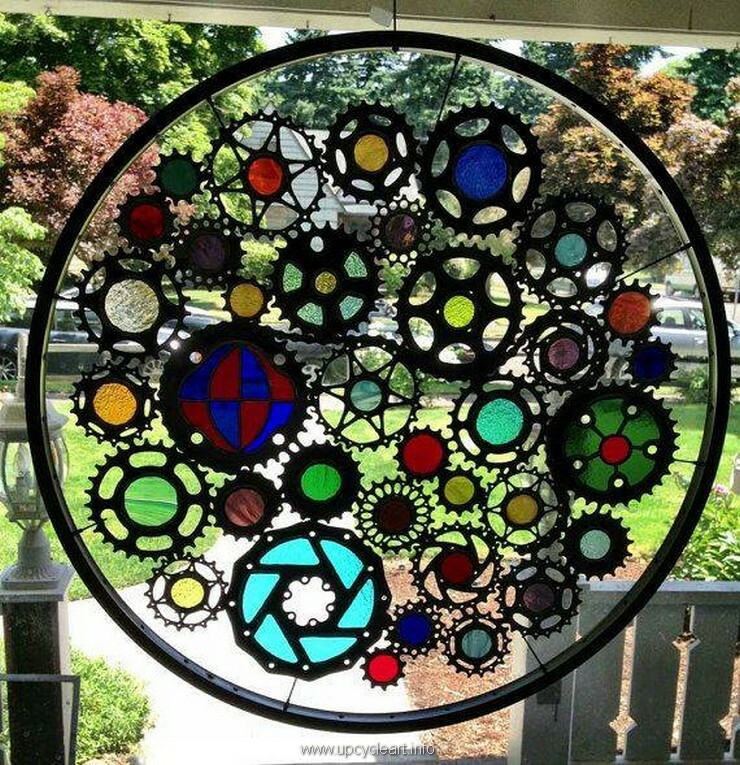 Well, this is something really creative that really takes nerves and skill too. Trust me this isn’t that much easy as it looks. 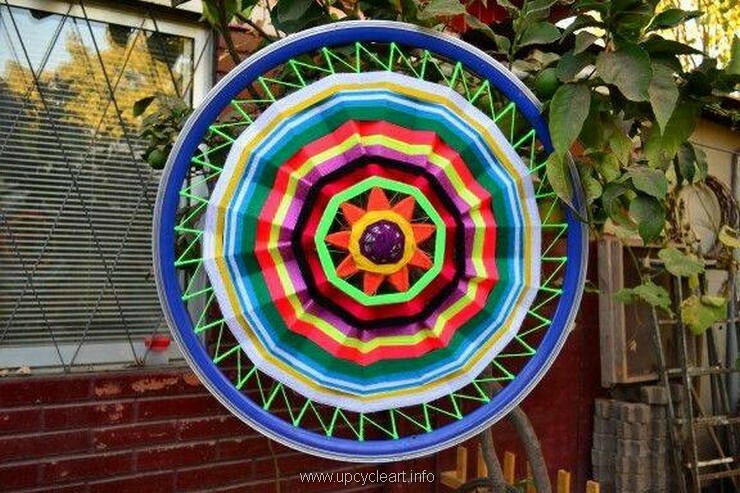 I would urge some expert crafters to consider this one and I would say that it is better if the beginners and amateur crafters just wait for the good time to come. This is the best display of the old snaps so far. We didn’t do anything different or tougher that wasn’t easy or possible at all. 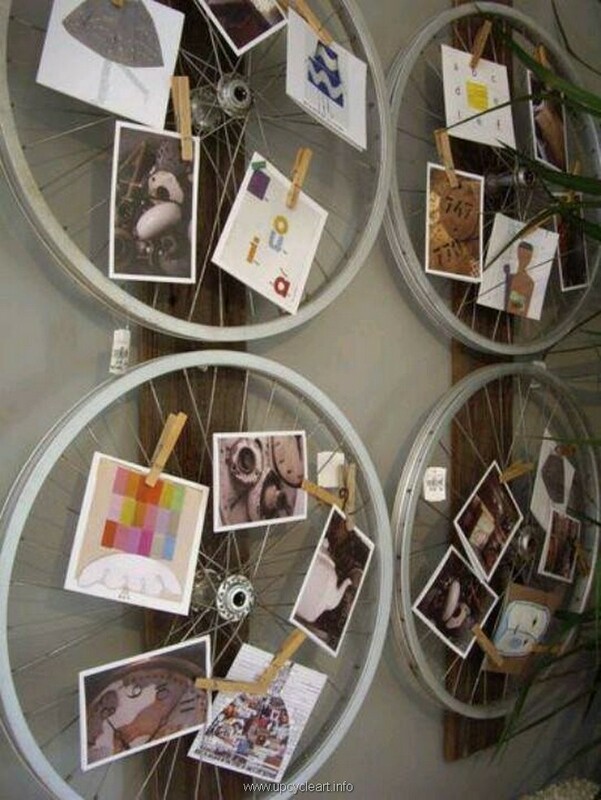 We simply painted the wheels with a really soothing shade, and we simply pasted the snaps on them one by one. As we said earlier that the recycling ideas really get started with small idea. Sometimes you have it all to make something awesome, the only thing you are lacking is smart and proper idea, that’s it. 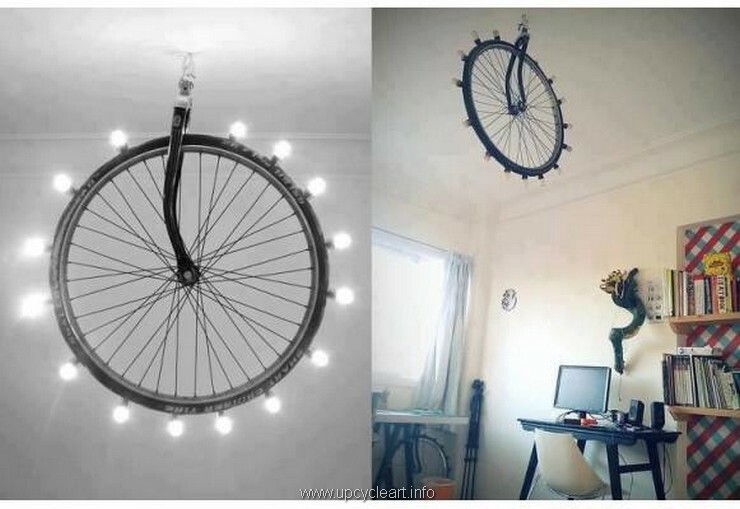 I don’t think the guys with spare bicycle wheels are lacking the ideas anymore right?